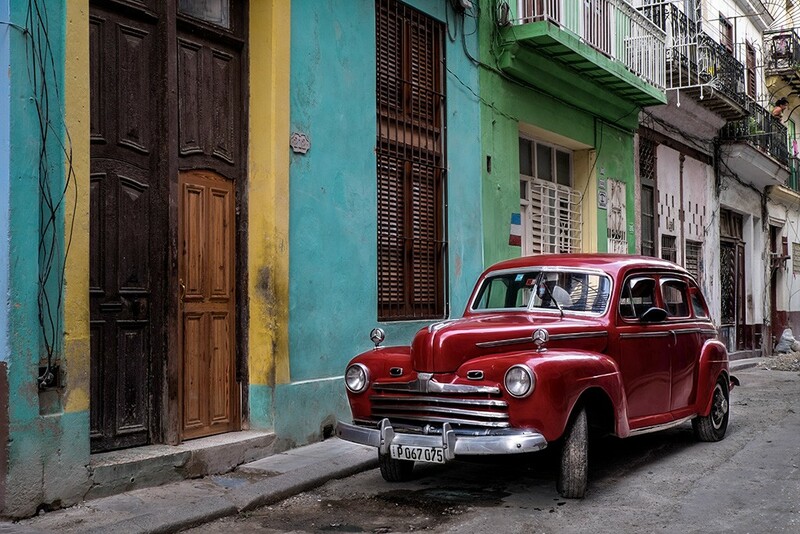 I’ve photographed this car in Havana on previous trips. It is hard to pass up, so here is another take. I have noticed a fair amount of construction going on in Havana over the past three years. This is good news. The wiring we saw in homes three years ago looked dangerous. Now, we see lots of new electrical boxes and wiring that does not scare me. This year, many streets were torn up. It appeared as though work was being done on the infrastructure which is sorely needed. It will be interesting to see what changes are in store with the rekindling of our relationship with Cuba. I hope the “people” receive some benefit, but I have my doubts. Wow.. This is marvelous! The colors are spectacular.. Love this one!!! You’ll have to follow me? HA! Now that was funny Mark! The mood of those lyrics and the story they tried to tell are echoed in your beautiful photograph. Love all your work, but this one is particularly rich ! Slainte! Thank you for your kind comment Bruce. Love that “Cats” came to mind and you shared.